The UFHCC offers internships for graduate students to join the Federal Relations team in the University’s Washington DC office. This position has a primary focus on legislative support related to cancer policy. The intern who fills this position has the opportunity to observe Congress first-hand and to acquire exposure to federal policy including areas of education, research, healthcare and budget. 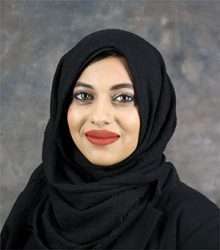 Fizza Imran, a second year MPH student with a concentration in Public Health Management and Policy and 2018 graduate of the Bachelor of Public Health program, has received a cancer policy internship to join the new Federal Relations team in the University of Florida’s Washington, D.C., office. This internship will have a primary focus on legislative support related to cancer policy.